The award winning Ovation Airform All Purpose Chafeless girth has been improved with Click-It™ spring-loaded buckles. Adjusting the girth has never been so easy! The spring-loaded buckle tongue stays straight to the billet strap and slips easily into the holes. Cushioned and textured for air flow, the girth stays incredibly soft no matter how much use it gets. Can be sponged clean in seconds. Hypo-allergenic. 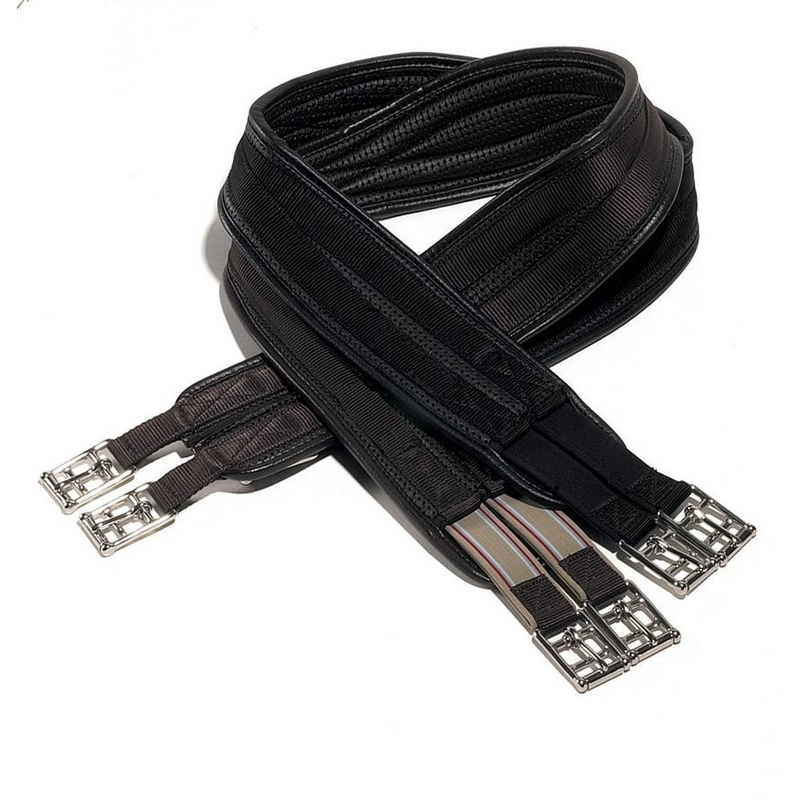 Double elastic on both ends allow easy full adjustment and reduce pressure as your horse moves.